There’s hardly any small talk in this circle. 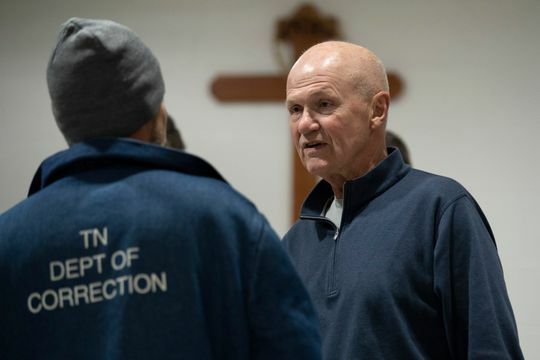 Rudy Kalis, New King James Bible in his hands, leans forward as 17 men in prison-issued light blue denim shirts and dark denim pants listen intently. 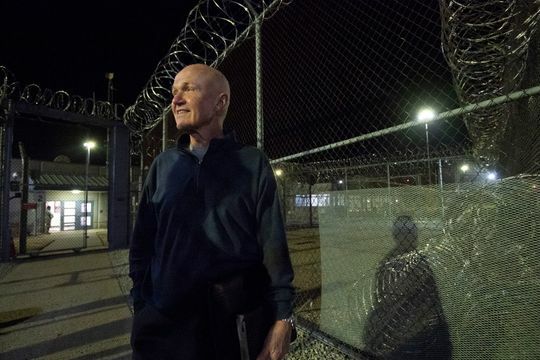 It’s Tuesday night Bible study at Riverbend Maximum Security Prison in Nashville, where Kalis, 71, has been meeting with inmates and volunteers with Christian-based Men of Valor for about a year. In a way, Kalis is doing exactly what he did for 43 years in the sports and news departments of WSMV Channel 4 — asking probing, open-ended questions with lots of empathy. After a pause, a few of the inmates, one at a time, answer Kalis’ prayer question tentatively, some with clichés. “You gotta have faith,” one says. “God’s not going to answer a prayer if it’s the wrong thing for you,” offers another. 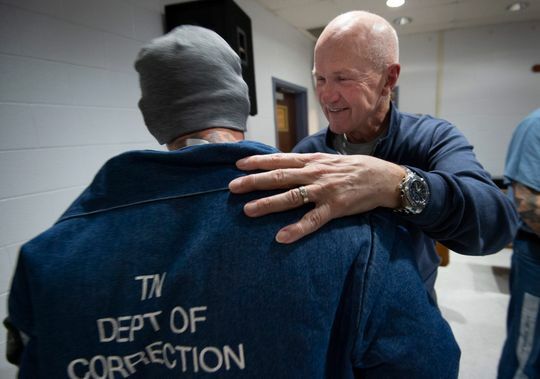 It’s there that the inmates begin to connect more deeply with Kalis and the other volunteers — and with each other. Consistency and trust is where healing begins, and faith grows stronger. And it’s where Kalis finds common ground with a group of guys who seemingly are nothing like him. The connection keeps Kalis coming back. “I didn’t want to preach to the choir. I wanted to live on that edge. I want to be with people who are tougher and different, and see if I can relate to them,” he said. He does, and they relate to him. 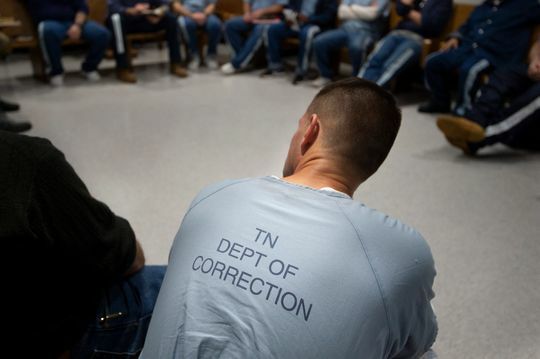 “It’s a blessing to have that camaraderie,” said Bobby Costner of Knoxville, who has been locked up for 18 months on a burglary charge. “Rudy is a very wise man who brings a lot to the group,” Costner said before he paused and smiled. Kalis, a member of Westminster Presbyterian Church for 22 years, retired from Channel 4 in November 2017, and a month or so later, he bumped into a guy who interned at the WSMV sports department 25 years earlier. That man invited him to consider joining Men of Valor, a Christian prison ministry and re-entry program for men that is backed by, among others, Bill Lee, who is set to be inaugurated as governor on Saturday. The offer rang a bell for Kalis — “I love everything that Men of Valor stands for in developing men of faith and character” — and he has been a volunteer since. Kalis, who runs the Bible study with longtime Men of Valor volunteer J.R. Davis, often gets recognized as “the sports guy,” and Kalis eventually turns those conversations to talk about faith. But he’s glad to have a way into conversations with inmates that most other volunteers don’t have. “I love hearing about all the sports stuff he’s done, and I watched him on TV during the news. So when they said his name, I’m like, ‘I know that guy!’” said Bobby Sanders, 39, of Shelbyville, in Riverbend for two years so far on drug manufacturing charges. Kalis said his relationship gets deeper with the inmates when he keeps showing up, so Kalis keeps showing up. And he said he is more mindful about his faith and behavior since he started going weekly to Riverbend. “It’s literally changing me. I’m trying to be a better man of faith because I’m telling them to do that,” he said.